Greig E. MacIntyre is admitted to practice before the courts of New Jersey, and the United States District Court for the District of New Jersey. He has a Bachelors degree in Political Science from Colgate University and has a Juris Doctor Degree from the University of Richmond, completing some of his studies in law at Cambridge University, England. 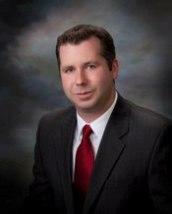 He has been practicing law since 2004. Greig has significant real estate and litigation experience, specializing in matters affecting homeowners and potential homeowners. He possesses thorough knowledge of complex legal situations such as Lis Pendens, Condemnation, Use and Occupancy Agreements and Escrow Agreements. Greig is proficient in providing comprehensive advice on possible courses of action, and addressing your specific real estate concerns in order to move your transaction forward to a swift and favorable completion. Greig is also well versed in Estate Planning/Probate matters, providing you and your family knowledgeable personal legal advice when it needs it most.